A common requirement for queries is to turn rows into columns, or the other way around. 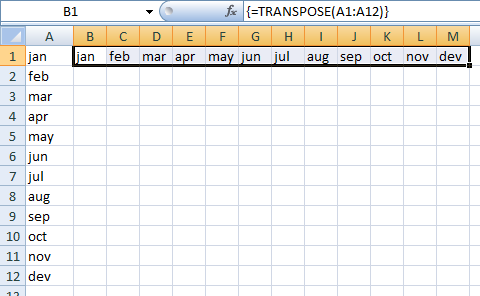 In Excel, we can do this using TRANSPOSE, a bit of patience & know-how, and ctrl+shift+enter. Oracle 11g introduced pivot queries. Note line 12 where we can provide column aliases to the fresh output. As with most esoteric SQL functions, there are quite a few good examples on the web that I'm not out to emulate - the prime purpose of this post was to help remind me what's going on. That being said, Tim Hall and Arup Nanda have the most concise articles.